Remember the fabulous cars from the fifties that had upwards of three-inch wide whitewalls, sometimes even bigger? 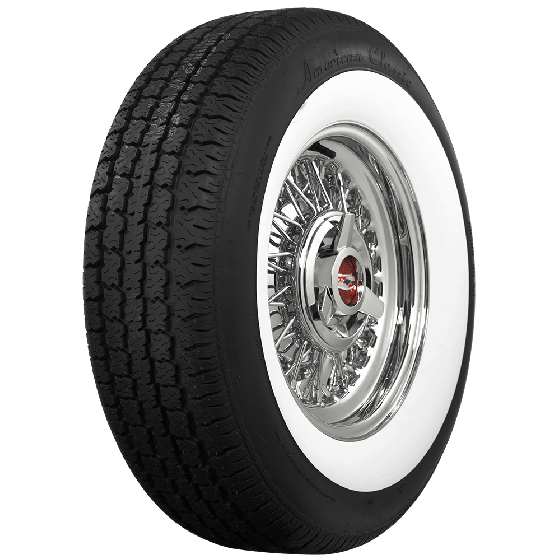 Those stylish tires with wide whitewalls have been extremely popular for classic car restorations as well as hot rod and custom builds ever since. 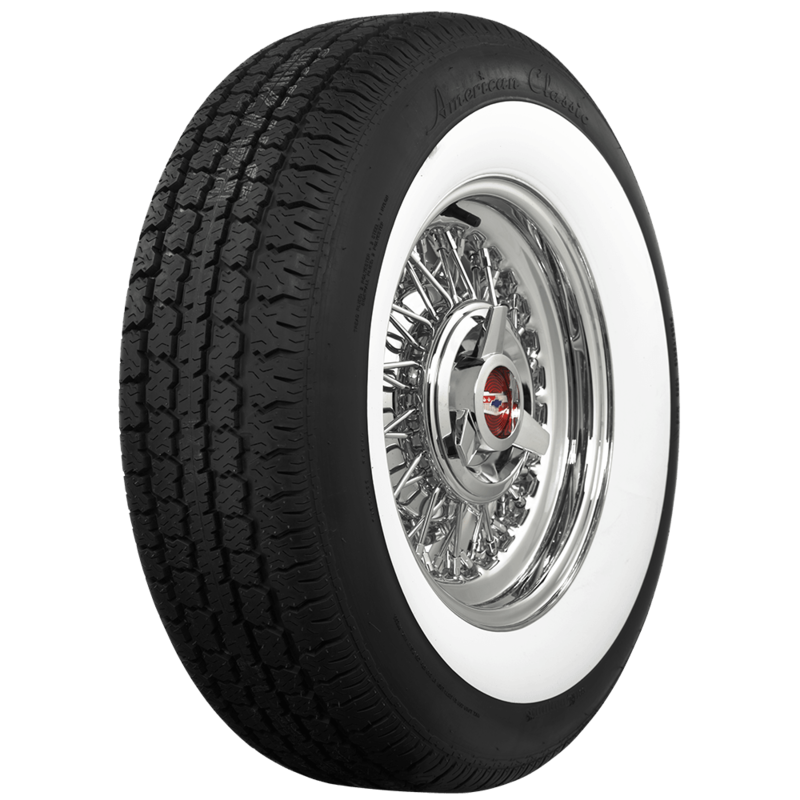 Coker Tire Company offers these radial American Classic Whitewall tires with a great selection of sizes and whitewall widths up to 3-1/8 inches! 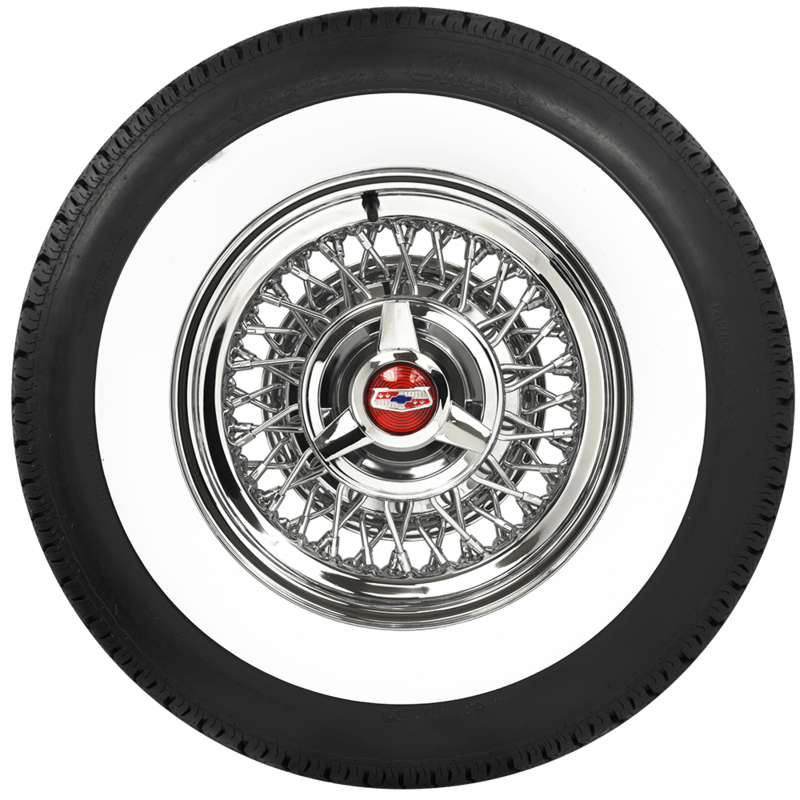 Sizes to fit 14-, 15- and 16-inch wheels, these tires offer the right look for your classic car, complete with a tall sidewall and stylish tread pattern. Sizing is perfect for American full size cars, such as Impala, Galaxie and other popular makes and models, such as Cadillac and Lincoln. The wide whitewall is built into the mold from day one, so it is a true whitewall tire that will stand the test of time. Coker American Classic tires are made in the USA and they are DOT and ECE (European Community) approved and covered by Coker Tire Company's Life of the Tread warranty. Please note that dimensions listed (tread width, section width and overall diameter) are non-scientific and based on an inflated tire, mounted to a wheel. Dimensions may vary due to rim width and inflation pressure. Can I get a wide white wall in a 16in radial? We do have wide whitewalls in radial, 16" sizes. Let us know what actual size you need, or the make/model/year of the vehicle so that we can make the best recommendation. The original factory tire size was 195/70HR14, so we would not recommend mounting a larger tire. I have a 1957 Pontiac Chieftan. It has 750-14 bias ply tires. What size tires do I need in a radial tire? The radial equivalent is this 750R14 American Classic bias look radial.